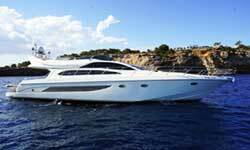 Our Sunseeker Predator 58 based in Ibiza is a super sports yacht of 18 meters long with capacity for 12 people for day charter and 6 people for overnight thanks to its 3 double cabins and two bathrooms. 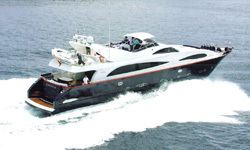 It is equipped with generator, air conditioning, heating, 2 refrigerators, full kitchen, microwave oven, freezer, garage, tender, paddle surf, inflatables among other surprises. 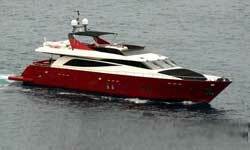 3 cabinas 2 baths, TV, RADIO, CD, GPS, RADAR, ice fridge, bow and stern solarium, air conditioning, kitchen. 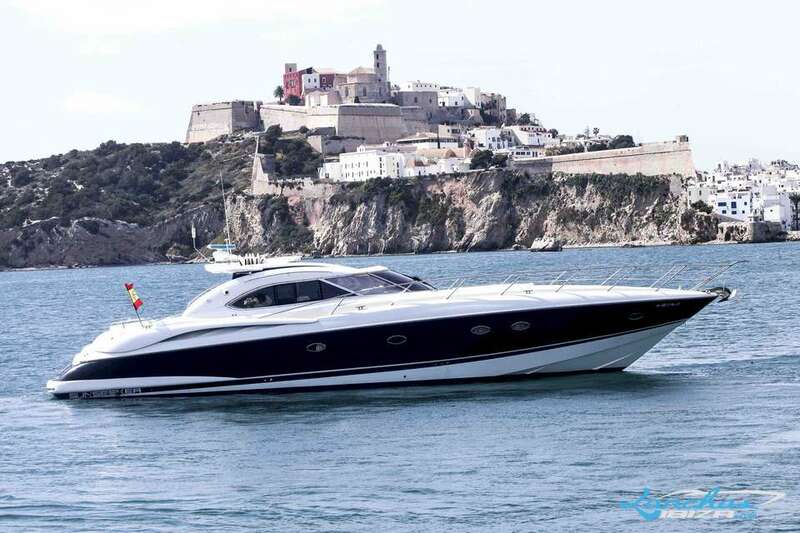 Click here if you would like to rent this boat in Ibiza or receive further information. 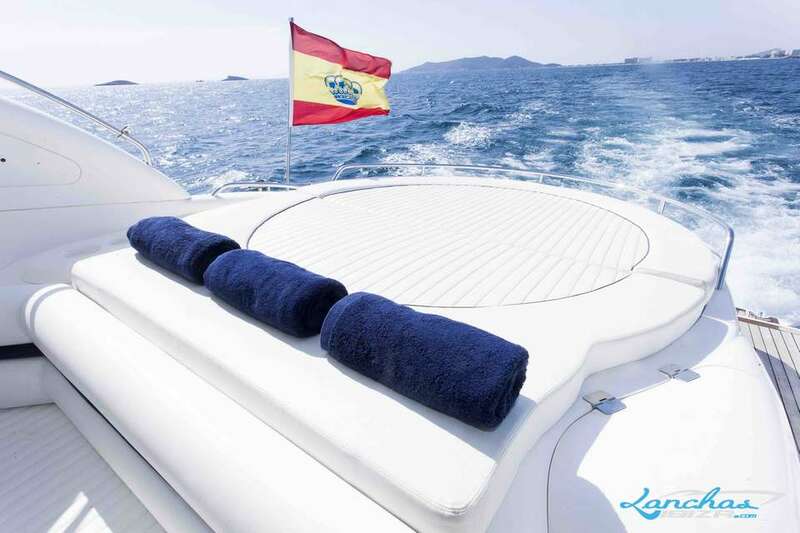 Welcome to Lanchasibiza.com, your company of confidence, experts in boat rentals (inflatable boats, motor boats, yachts and sailing boats) in Ibiza and Formentera. 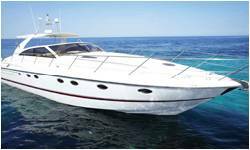 Prepare yourself for an unforgettable holiday aboard one of our rental boats in the beautifully lush and green, Pitiusas Islands. 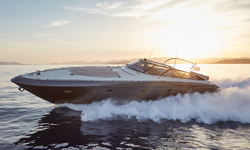 A wide fleet of rental boats in Ibiza is available with the main aim to fit your needs. We’d like to offer the possibility of sailing with us and knowing the White Island, taking care of even the smallest details. Right after, we present different options, all of them within reach, to enjoy to the maximum during your stay with us. 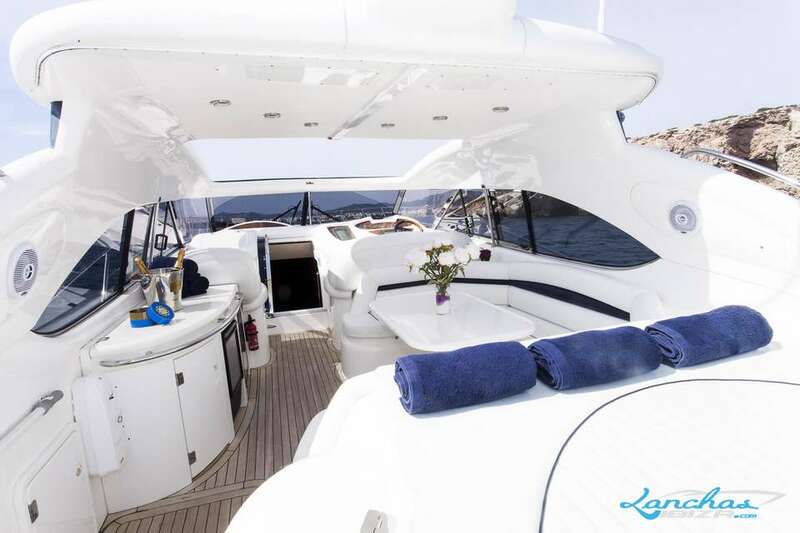 You will be sure to delight in a relaxing day in one of Ibiza’s many secret coves, whether it be with your partner, friends and/or family, aboard one of our rental boats in Ibiza. What is more, you will have the opportunity to savour the exquisite, traditional foods that the Mediterranean cuisine has to offer, doing so in sea-front restaurants while contemplating the boats that navigate nearby. Do not forget to take in the much talked about sunset that you will see when returning home from your day at sea. Put on your snorkel equipment and jump into the sea from your rental boat to contemplate the truly beautiful flora and fauna that hides beneath its crystalline waters. Our skippers know the most interesting places, such as hidden caves, and they would be delighted to show them to you. 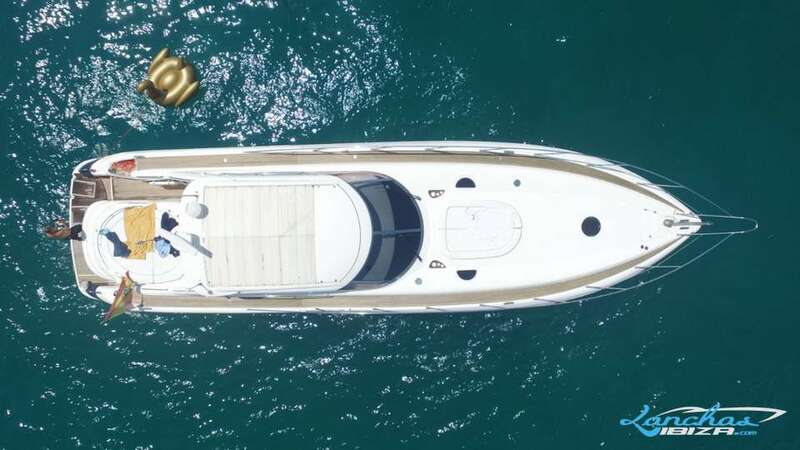 What could be better than celebrating a birthday or bachelor/bachelorette party in the middle of summer, and with an enviable temperature, in the Spanish Caribbean? On board a schooner, or various boats tied together, you will have one of the best celebrations possible. Corporate events. 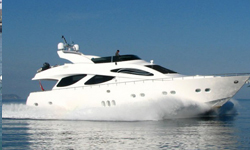 We offer a catering service, a DJ, decorations… as well as a rental boat in Ibiza for as many passengers as you would like. 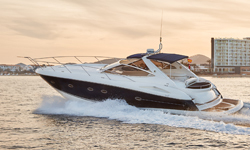 We can assure you that your clients, friends and/or employees will be delighted to take part in such a distinct and memorable day aboard one of our boats. 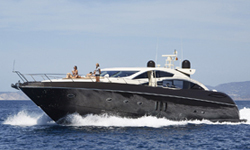 Contact us and experience the pleasure of navigating in Ibiza, a luxury adaptable to any pocketbook.